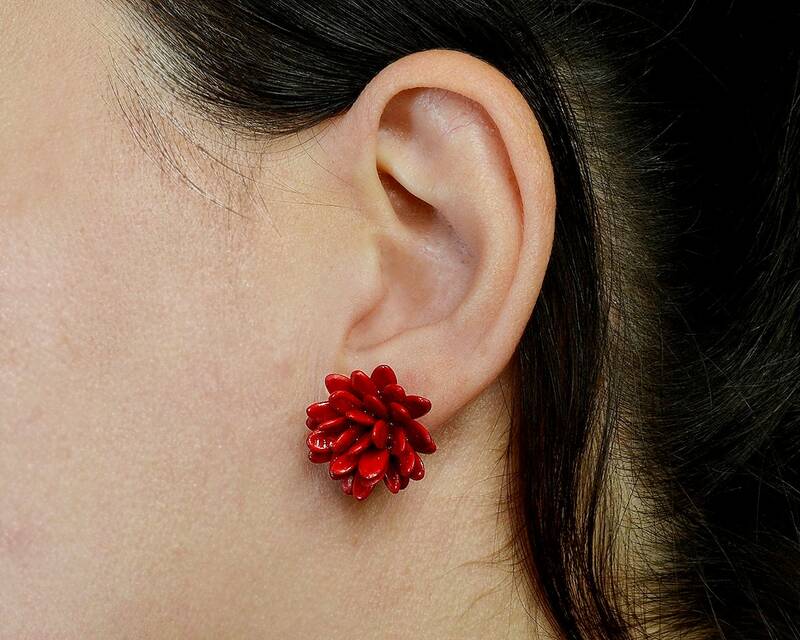 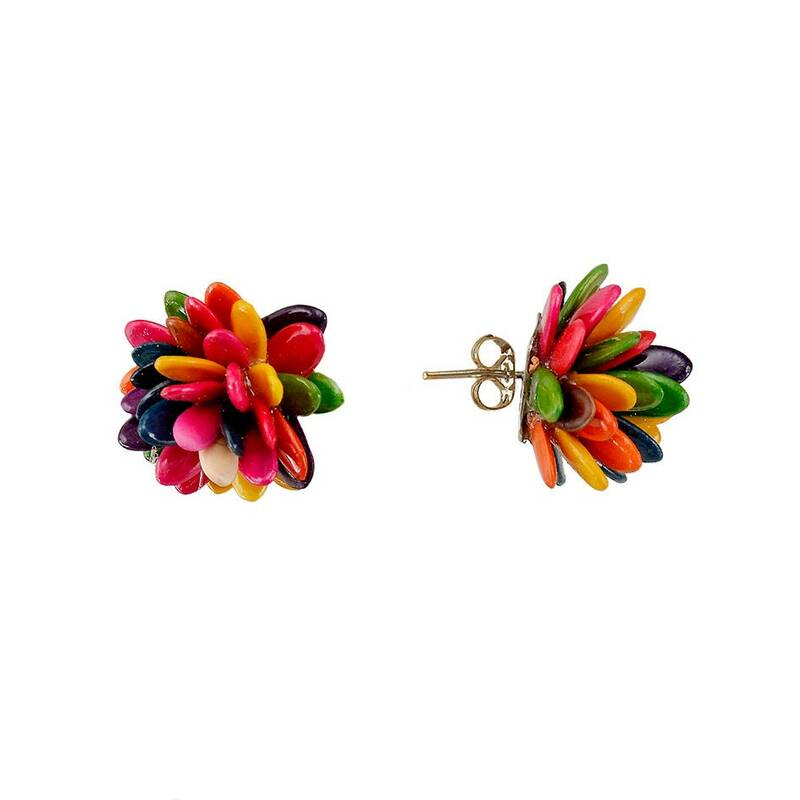 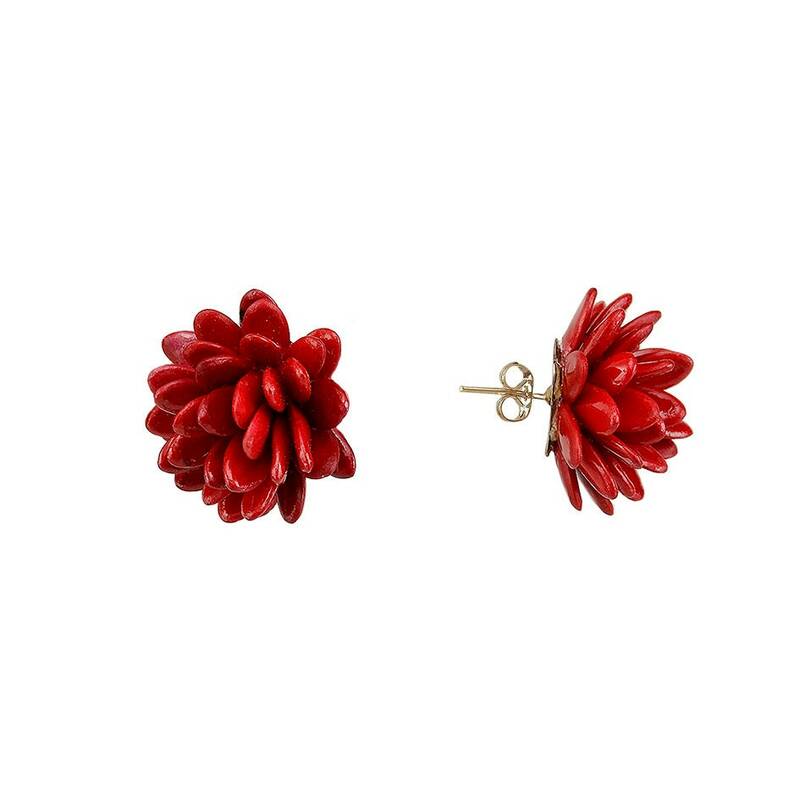 Wholesale stud flower earrings with sterling silver posts and clasps. 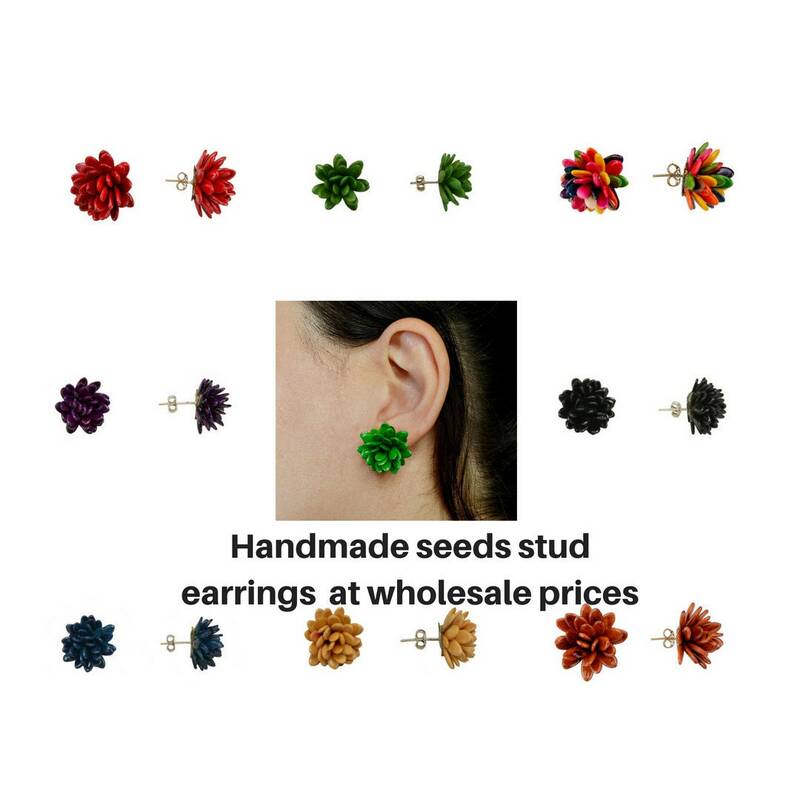 If you are making jewelry or you are retailer and are looking for amazing and unique wholesale women earrings or for jewelry findings, these cluster seed earrings are a great choice, Are totally handmade organic earrings. 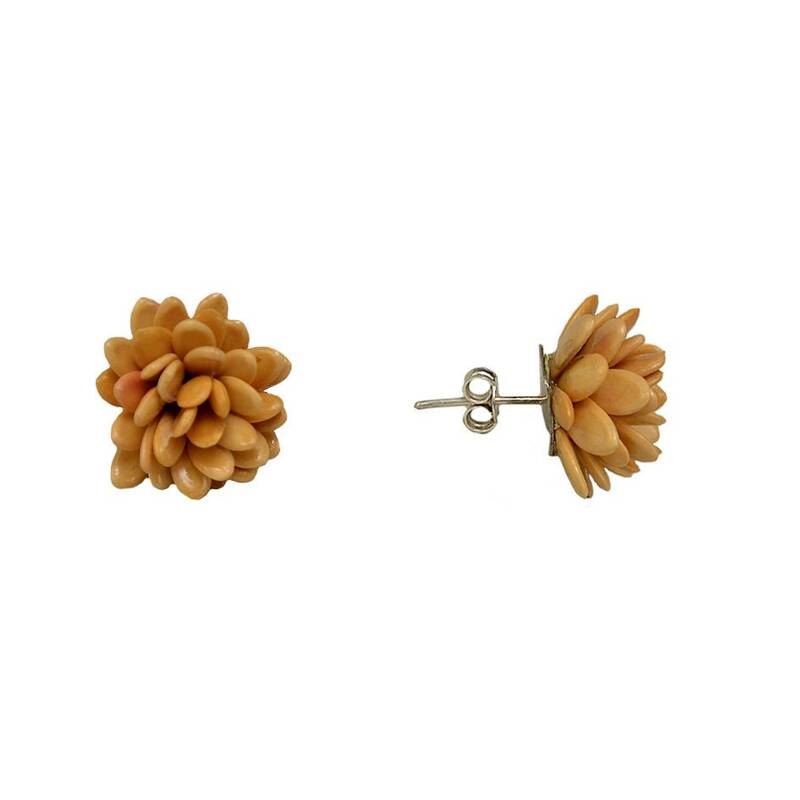 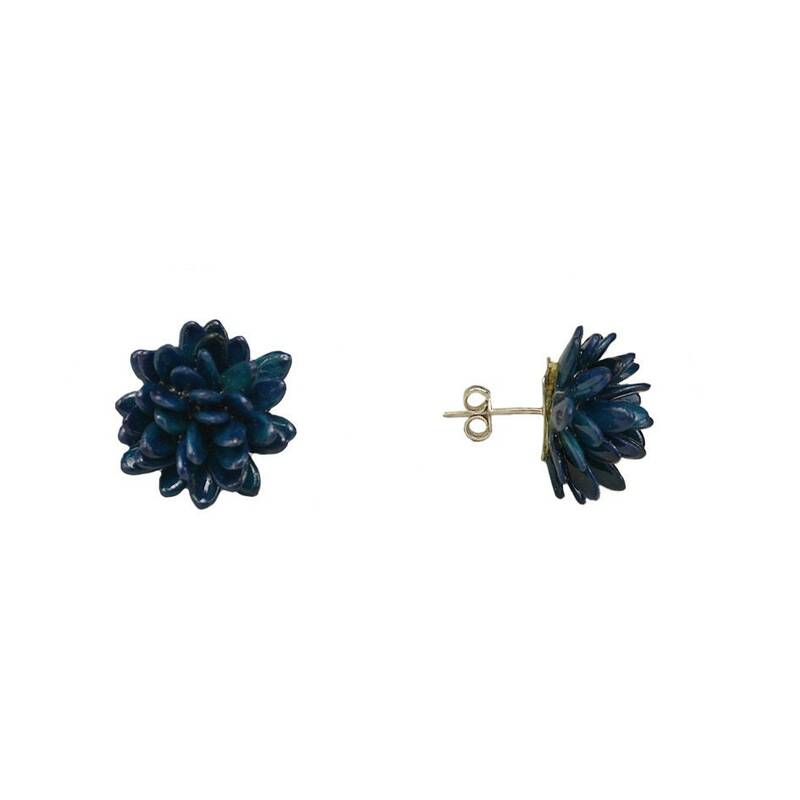 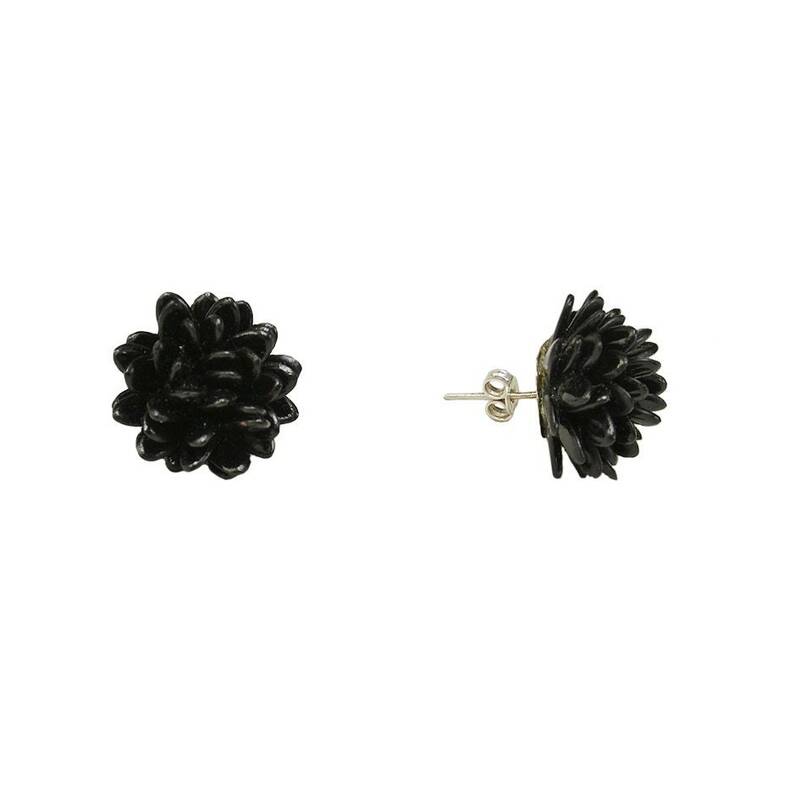 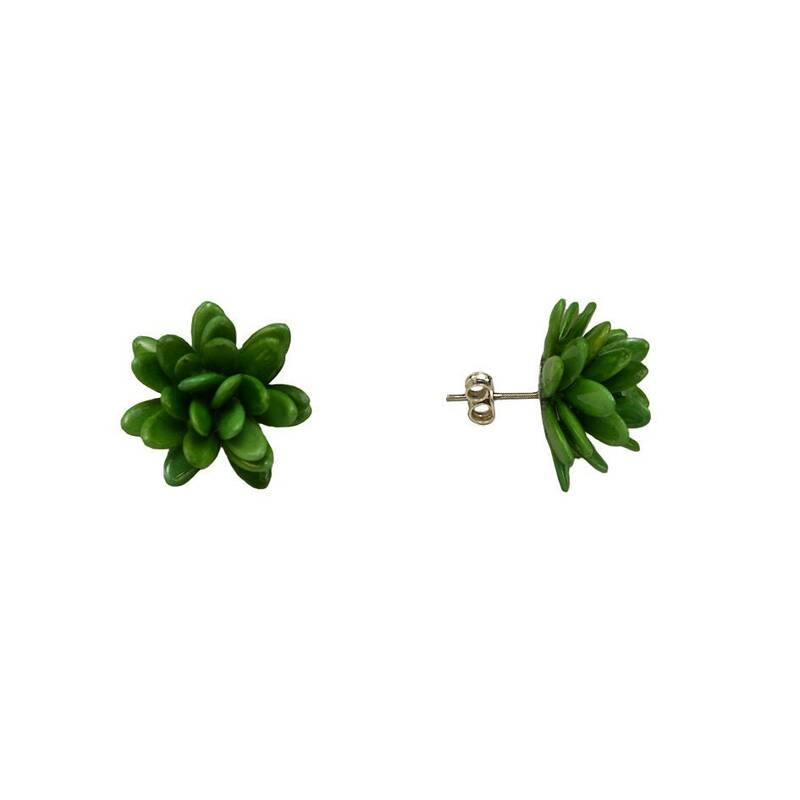 Available in black, red, navy, green, beige, brown and multicolor stud earrings. 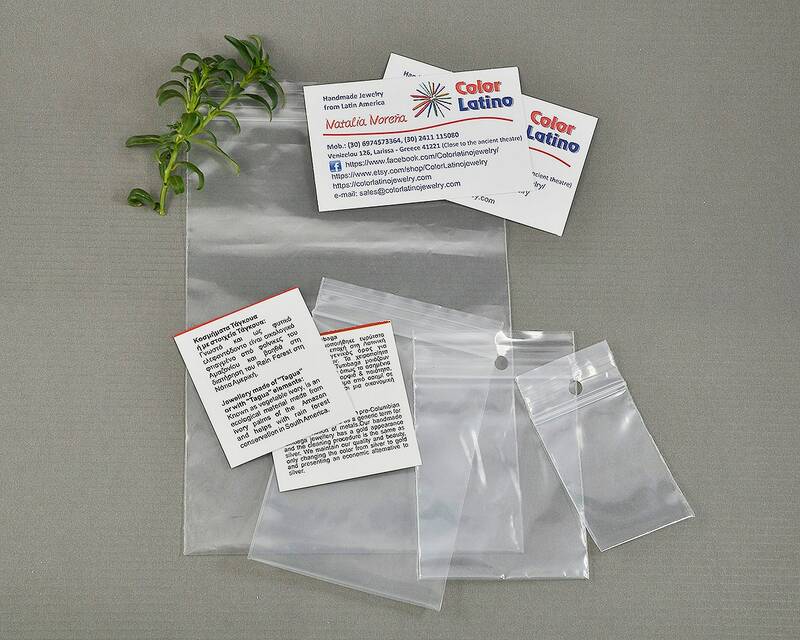 Ask for our wholesale catalogue at colorlatinojewelry [!at] gmail.com. 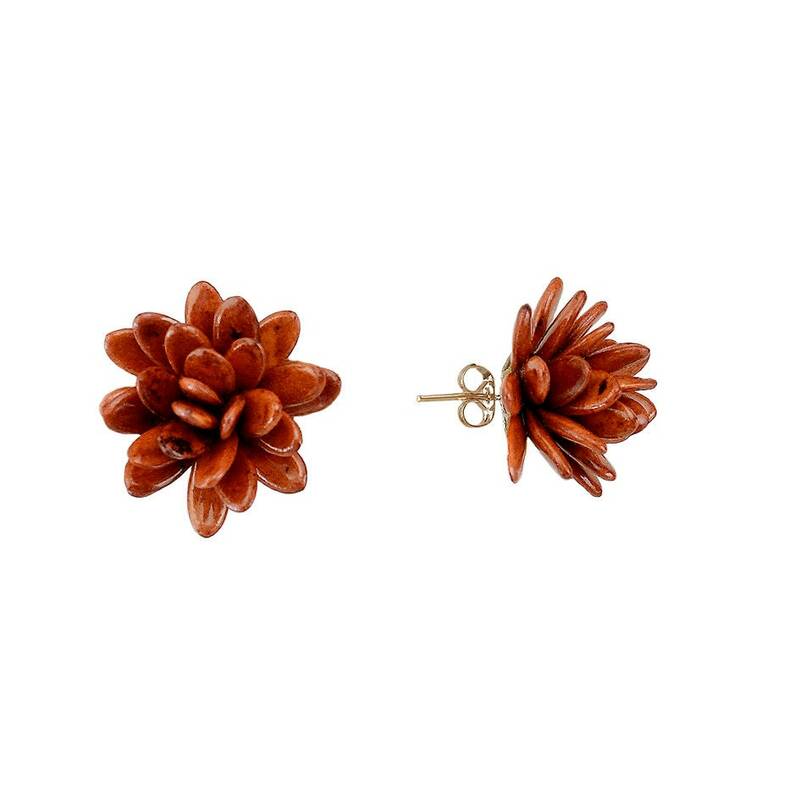 Please dont buy this listing, it is for information purposes.